Natalie Feehan is a passionate marketing and brand executive with over fifteen years experience in the Australian technology sector. 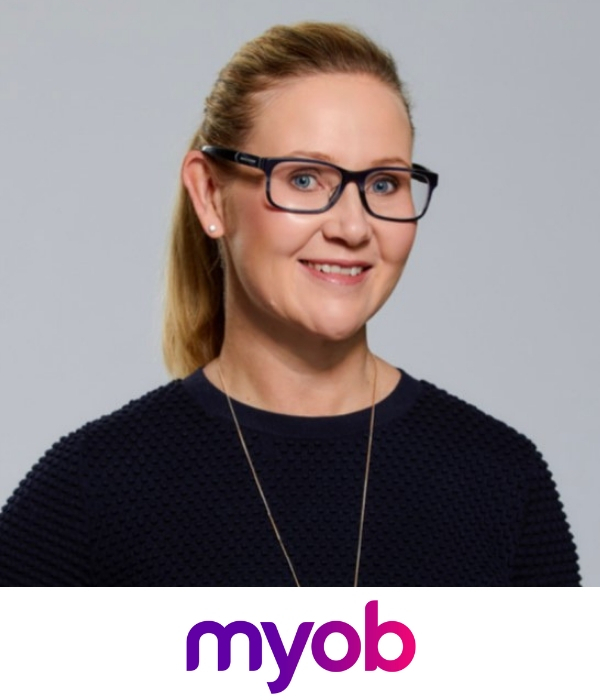 Prior to her appointment at MYOB, Natalie was Group Manager of Marketing Strategy at REA Group after 6 years in various marketing communications roles. MYOB is an innovative, culture-driven, agile technology company, providing business solutions to more than 1.2M customers. Dedicated to helping businesses succeed, MYOB provides cloud-based tools that help simplify accounting, payroll, tax, CRM, websites, job costing, practice management, inventory, mobile payments and more. Natalie was appointed Executive General Manager of Group Marketing in May 2015. She is responsible for the Brand, Advertising, E-Commerce Sales, Digital Marketing, Communications, Social, Content, PR, Corporate Affairs and Events teams. Natalie is also responsible for management of MYOB’s internal creative agency. During her time with MYOB, the company has consistently been named one of the Australian Financial Review’s 50 most innovative companies. Natalie was identified as a CMO50 2017 One to Watch, for her role as the champion of MYOB’s brand transformation. She writes regularly for Circle In and has been featured in B&T, AdNews, Campaign Brief, Marketorium and Accountants Daily. Natalie’s extensive experience in driving greater brand preference and engagement from customers makes her a compelling speaker. She is a passionate advocate for women in leadership, building better workplace culture and diversity and inclusion.